It’s spring, you’re excited to take advantage of the increasing sunlight, the warmer temperatures, the season’s spirit of renewal. There’s no better way to make that happen than on a hike. And the great news is that North Carolina has so many great trails to explore, many a lot closer than you might think. 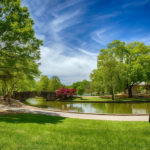 Here are five of our favorites in the Asheville area, Charlotte, the Triad, the Triangle and at the coast, including name, location, length, difficulty, a quick explanation of why we like the trail and a link for where to find more details and directions. Nothing like a hike with a carrot, in this case, the remains of what was, from 1904 to 1918, the mountain retreat of Dr. Chase P. Ambler and family. You’ll see their swimming pool, tennis court, stables and lodge, the ceiling of which was covered with rattlesnake skins, which fetched a $5 bounty — about a week’s wages at the time. And, you’ll be hiking a segment of the statewide Mountains-to-Sea Trail. Savor the MST in Asheville before it begins its log climb to Mount Mitchell. Here, you’ll find early-season-friendly hiking in either direction from the Folk Art Center: hike 30 minutes out, 30 minutes back. Then, be sure to visit the Folk Art Center, home to the Southern Highland Craft Guild, showcasing the finest in traditional and contemporary crafts of the Southern Appalachians. Even when the temperatures warm, you’ll find relief here atop the 6,000-foot roof of the East Coast, where temperatures are pressed to hit the 70s in summer. From the snack bar parking lot below the summit, head north over rugged terrain for 3.5 miles and top six 6,000-foot peaks on your way to Cattail Peak. Or, make it a 2-mile hike and stop atop Mount Craig. Great views either way. From Carvers Gap head north on the AT and in less than 2 miles top Jane and Round balds, then head out on the equally exposed Grassy Ridge. It is one ongoing view on this stretch; on a sunny day there is no better place to hike. Panthertown Valley offers 30 miles of mostly unmarked trails. A good option is the 5-mile loop suggested by RomanticAsheville.com that starts at the Cold Mountain Gap parking area with a gradual descent into the valley on an old logging road. 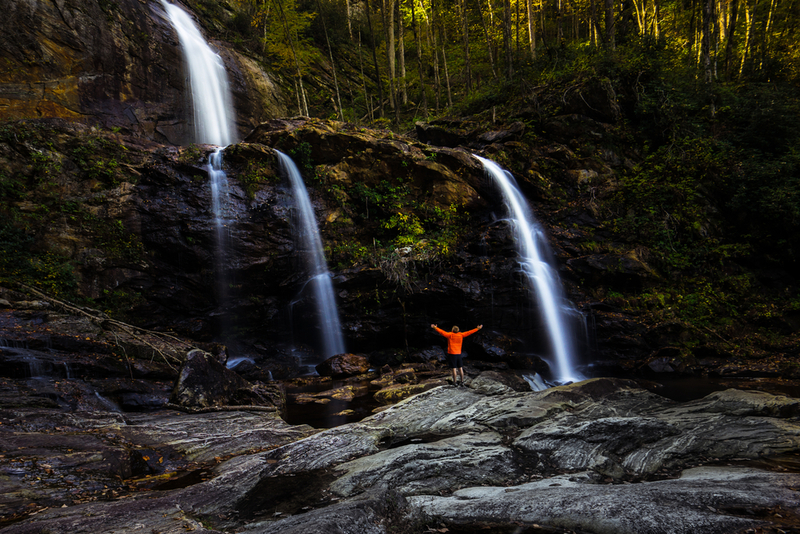 Shortly, you’re at the 30-foot Schoolhouse Falls, which empties into a generous swimming hole. Follow that with a climb up 4,040-foot Little Green Mountain, a sloping rock slab with long views of the valley, then on to 60-foot Greenland Creek Falls. The 188-acre RibbonWalk quickly takes you away from the city beyond with a hike along a small creek that runs through a tight young forest of hardwoods, pines, and cedars; later, your escape continues through a stand of beech trees that date back 150 to 200 years. To date, 106 herbaceous plant species, 78 species of woody plants, 53 species of birds and 24 species of butterflies have been documented at the preserve. Lots of options with 16 miles of trail. We like the Hill Trail, which runs the length of the park, from south to north, with passage through a Piedmont prairie. Before the European invasion, this was how a vast amount of the region looked: plains of grass and wildflowers where bison once roamed. This trail begins with a mellow meander from the Visitors Center, the first mile or so through lowland hardwoods. From there, it’s a climb to the 1,705-foot summit of Kings Pinnacle, a narrow, spiky ridge that affords great views, especially to the south, north and west, and includes unusual foliage, including dwarf Virginia pine and a few specimens of the blighted American chestnut. Most parks have their superstar: at South Mountains, its High Shoals Falls, an 80-foot drop on the Jacob River consisting of a classic straight drop, then passage through a boulder field, which the trail navigates. A bridge and observation deck offer vantage points for photos. At 2.7 miles, this hike lets you get some mountain mileage under your boots. Up for a ramble through the Scottish Highlands — without flying to Scotland? Bogs, hills barren of all but short grasses, and the history of Scottish immigrants who settled here beginning in 1760. 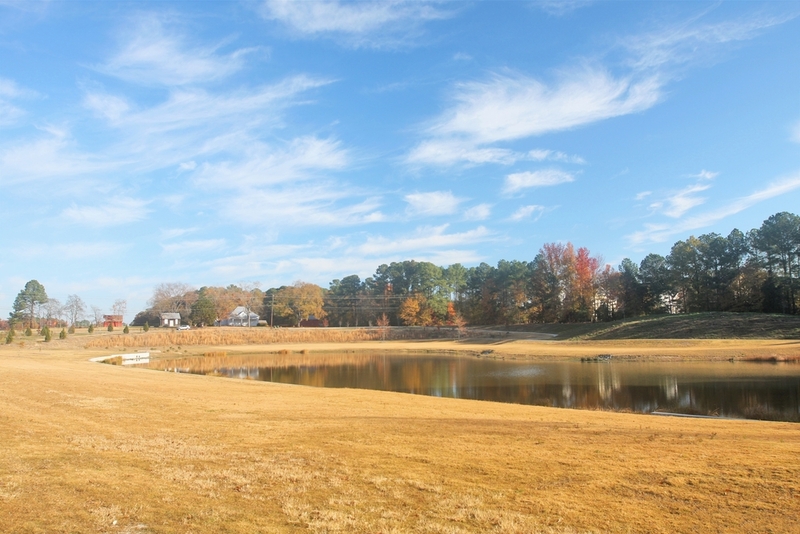 Today, the preserve protects 487 acres on Mountain Island Lake. Highlights include structures dating back to the Davidson Plantation days, and a healthy and diverse bird population. This pancake-flat hike circles a Carolina Bay (on a hot summer’s day, there’s a beach providing easy access to the cool, refreshing waters of Jones Lake). Hiked clockwise, the first half of the hike is through pine savannah, the second through a thick forest of bays and assorted taller hardwoods. The 1.9-mile Goose Creek Trail makes a great starting point for exploring Goose Creek, which has 7 miles of trail overall. Fortunately, the trails are well-marked; with park map in hand, you’ll find your way out of the swamp …eventually. 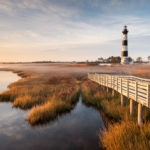 This hike starts on the beach then enters an open expanse of sand, sea oats and cordgrass on the tip of the Cape Fear peninsula; views abound. Midway, you’ll visit the World War II bunker that once housed the Fort Fisher Hermit. A good deal of this trail, beneath longleaf pine and turkey oak, is the boardwalk, which is good because you’ll be trekking through a soggy pocosin. Good, too, because it will keep you safe from the meat-eating Venus flytraps! (Actually, you’re only in danger here if you happen to be a fly.) 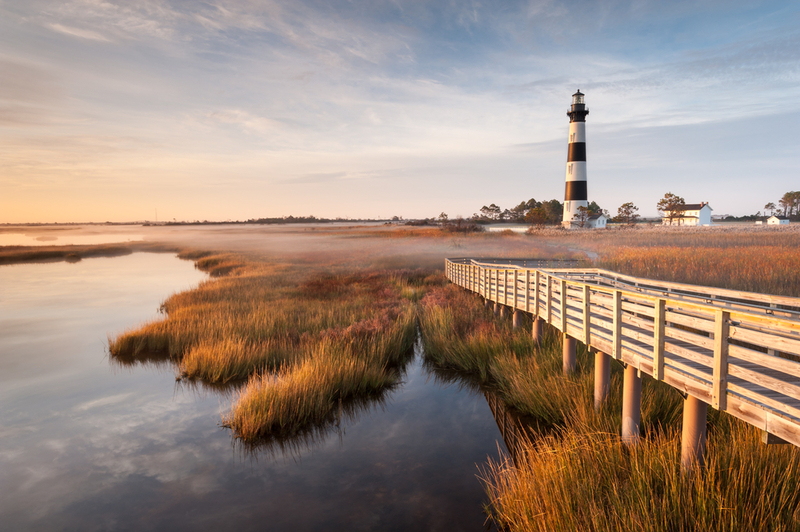 You’ll hike along the mighty Cape Fear River, head inland through a longleaf pine savannah, then climb the 50-foot-tall Sugarloaf Dune, forested with Spanish moss-festooned live oak. One minute you’re checking out the Spanish moss and pitcher plants common to the coast, the next you’re getting a whiff of galax and passing through mountain laurel. This is one crazy path, and it runs a total of 20 miles through the Croatan. This segment, from the Pine Cliffs Recreation Area to NC 306, is the most scenically diverse stretch of the Neusiok, taking you through the various eco-zones described above, and then some. The Salem Lake Trail’s benefits are two-fold. 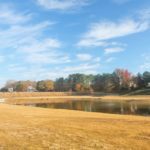 Though this 365-acre lake is in the heart of Winston-Salem and easy to reach, it’s well insulated from the bustle beyond its banks; the natural surface helps enhance this rustic feel. The trail also serves as excellent training for a big hike in the mountains? You won’t get the elevation here, but you will get the distance. The trail has clean tread, nice flow, a mellow climb or two and takes in the highlights of this popular park, including secluded streams, open fields, playgrounds and forest that does a good job of insulating hikers from surrounding development. Of the 42 miles of trail along Greensboro’s watershed lakes on the north side of town, only the Piedmont greets you with an ocean of kudzu. Past that grand opening, the trail squeezes through a narrow corridor between Lake Brandt and a residential neighborhood, somehow finding seclusion where none should exist. After a long descent, the trail hangs a left and follows the base of a cliff face that’s home to some of the best rock climbing in the region, making for some great entertainment. There are also nice views of the valley floor below and the Blue Ridge mountains to the west. Initially, the trail snuggles up to a noisy I-85, but in less than a half mile the trail veers north, then turns east to follow the Eno River. 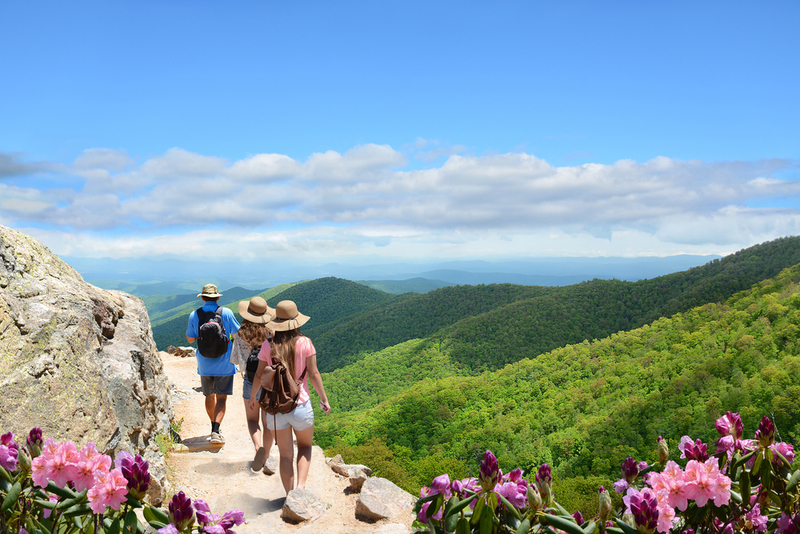 This is the topographical low point of the hike, but its scenic zenith: the 30-foot cliff to your right is home to Catawba rhododendron, mountain laurel, galax and other plants more common to the Southern Appalachians. On your return, take the Overlook Trail spur to… overlook. D-H Section T runs along the Eno River from Pennys Bend Nature Preserve downstream to Red Mill Road. D-H Section S, which begins at Red Mill Road and runs a crescent before returning to Red Mill Road to the south, includes nice passages along and above some more remote inlets of Falls Lake. The most popular trail in a popular park — at least the first mile is. After crossing three mild ridges on its way down to Crabtree Creek the trail sheds most of its hikers before crossing the creek and embarking on a 4-mile loop that takes you to the center of the park. A mature forest of towering beech, a meadow, a walk along sprightly New Hope Creek…. 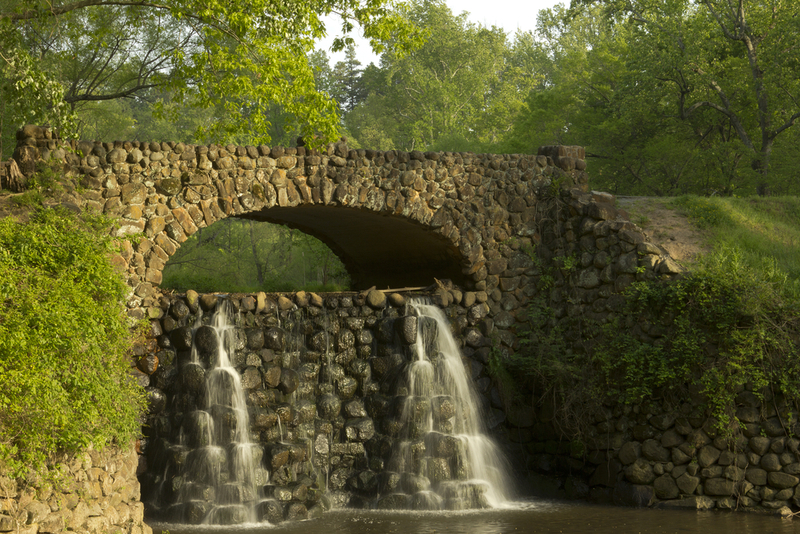 This may be the most relaxing 296 acres in the Triangle. The well-maintained and marked 3.5 miles of trail are ideal for meandering about without having to pay too much attention to where you’re headed. And should you need a rest, an artsy wrought-iron bench overlooks the beech bluff. 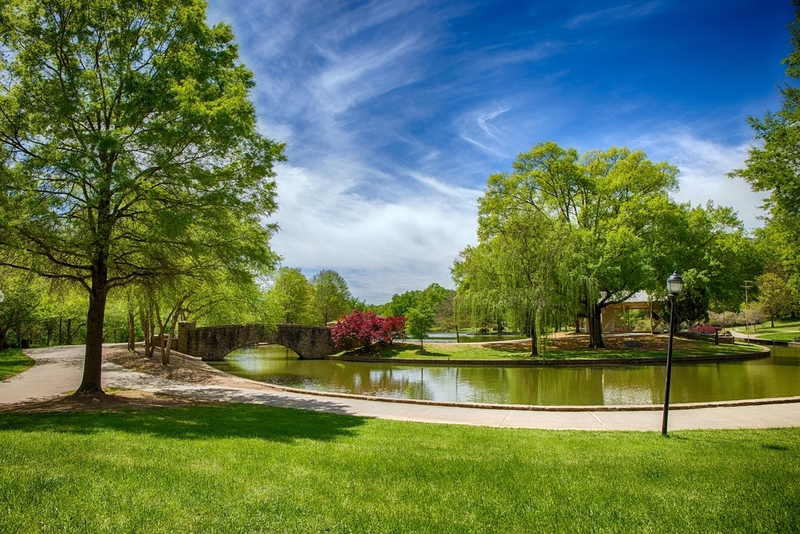 The beginner beauty of this hike is that you hike three-quarters of a mile on the Buckquarter Creek Trail and if you decide you’re not quite ready for 4.1 miles, you can hike back on the remaining three-quarters of a mile on this 1.5-mile loop. 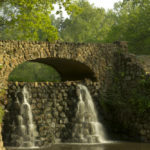 Cross Buckquarter Creek, though, and continue on the 2.6-mile Holden Mill Trail and you’ll be treated to more of the same: passage along the rocky Eno River (including one small stretch requiring mild scrambling) and climbing along a ridgeline.